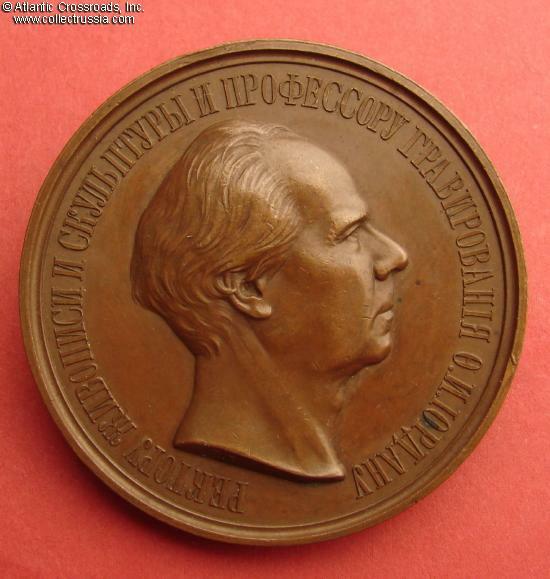 "To F I Jordan, 50 Years as an Artist, 1874," bronze commemorative table medal. 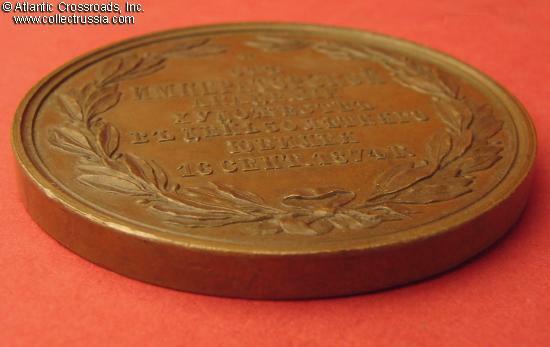 51.6 mm wide; weighs 60.4 grams. 51 mm. 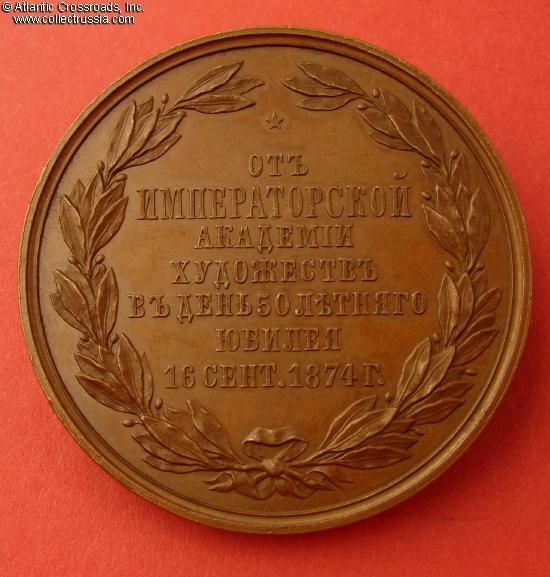 Engraved by V. Alexeev. Diakov 813.1. Profile of a distinguished looking Jordan on the obverse On the reverse a 7-line inscription within a wreath. Medium brown chocolate color. Jordan's claim to fame seems to be that he was an an accomplished engraver whose services were much in demand when it came to reproducing portraits.